In 2009, The Mario Lemieux Foundation contacted us to create a massive 20ft x 8ft photo mosaic mural in the Pittsburgh Penguins PPG Paints arena along with two interactive kiosk and an interactive online mosaic and kiosk. 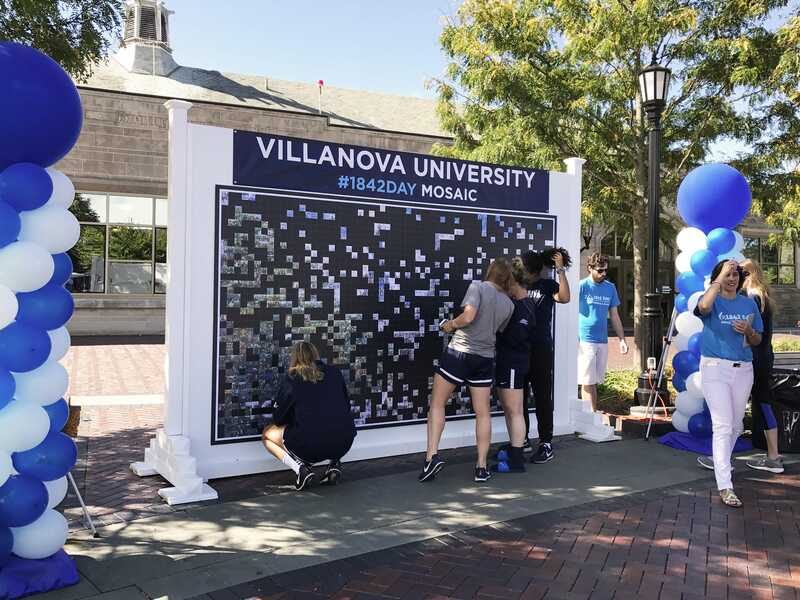 The Mario Mosaic was a great way to involve the community and help raise funds for cancer and neonatal research; it was a main attraction at the new hockey arena. To celebrate the 25th Anniversary of the Mario Lemieux Foundation. 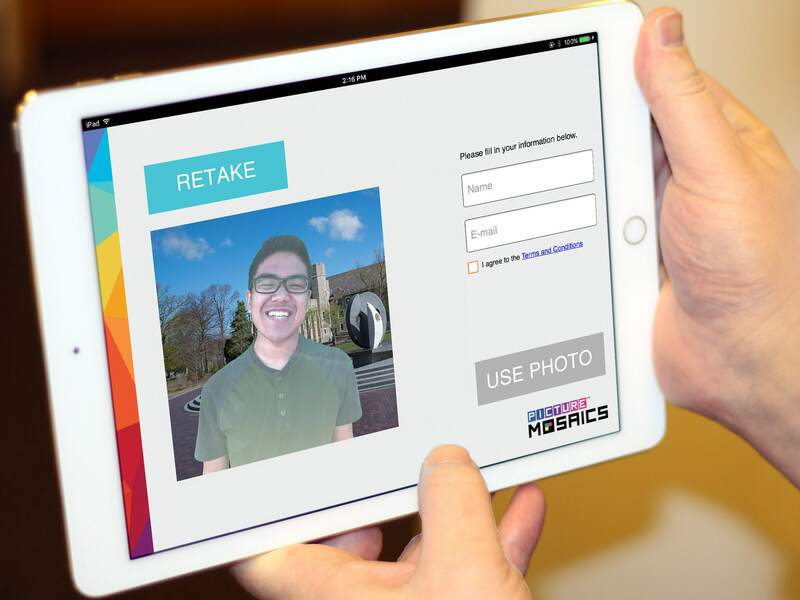 Picture Mosaics has teamed up with the foundation again to completely overhaul the mosaic mural, kiosks, and online mosaic. 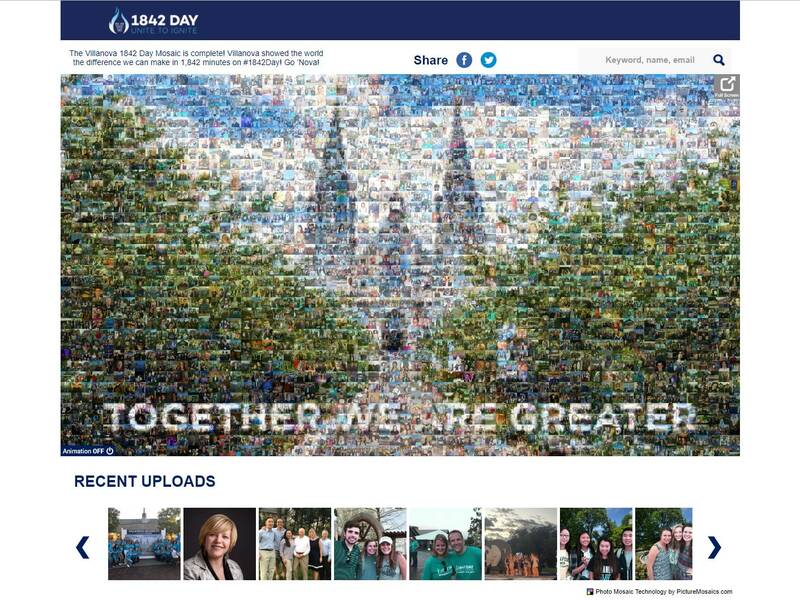 This entry was posted in Fundraising, Murals, Online Interactive Photo Mosaics, Photo Mosaics, Sports and tagged fundraising, interactive mosaics, mosaics, online mosaics, online photo mosaics, sports on December 14, 2018 by Elizabeth Roche. 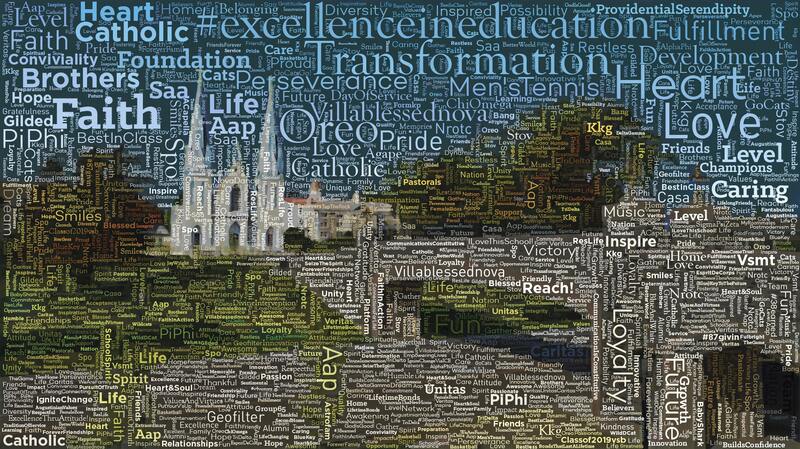 For this years Villanova 1842 Day students, faculty, alumni and parents were asked “What does Villanova mean to you?” and their answers were used to create this wordle work of art. 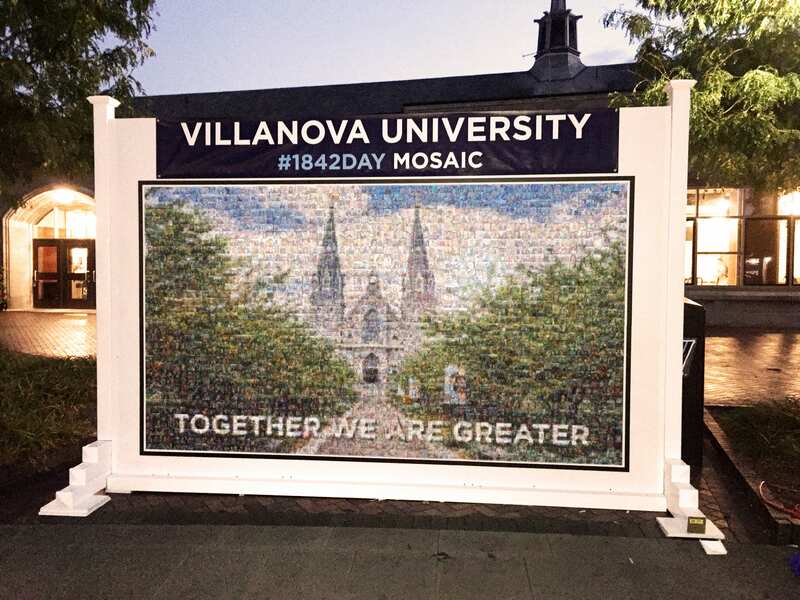 Their words were compiled and built into a word mosaic that depicts the Saint Thomas of Villanova Church on campus. 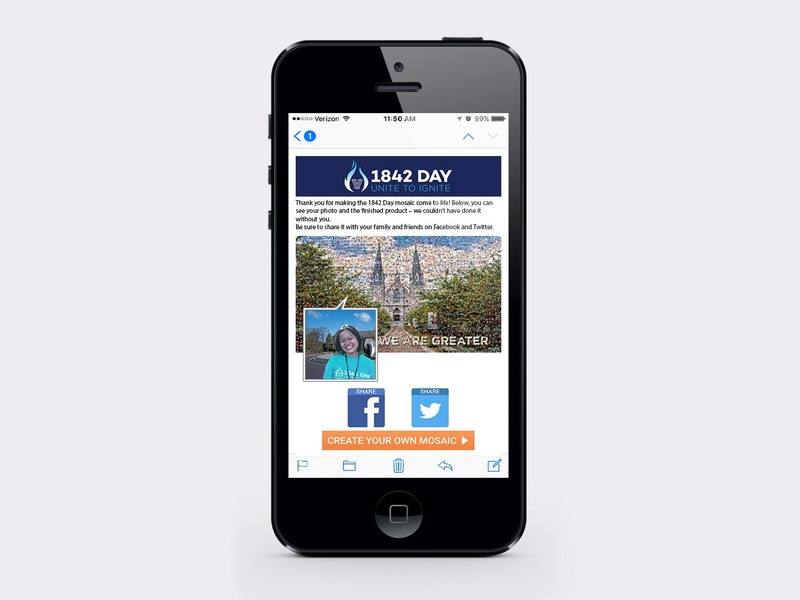 At Villanova University, 1842 Day is an event celebrating their official day of giving. 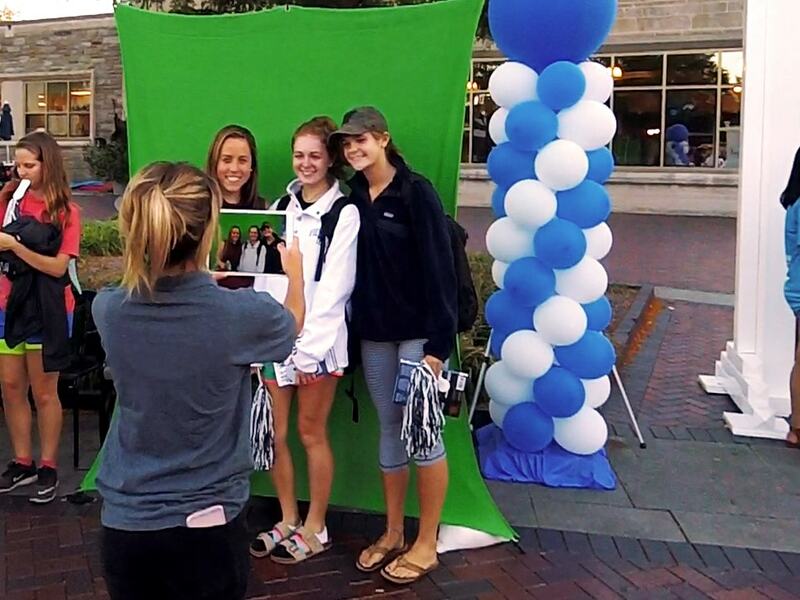 Donations made at this event and throughout the year go toward funding the colleges within the University as well as other organizations, such as Special Olympics, Disaster Relief Fund and various Missions and Ministries. Donations can be made here. 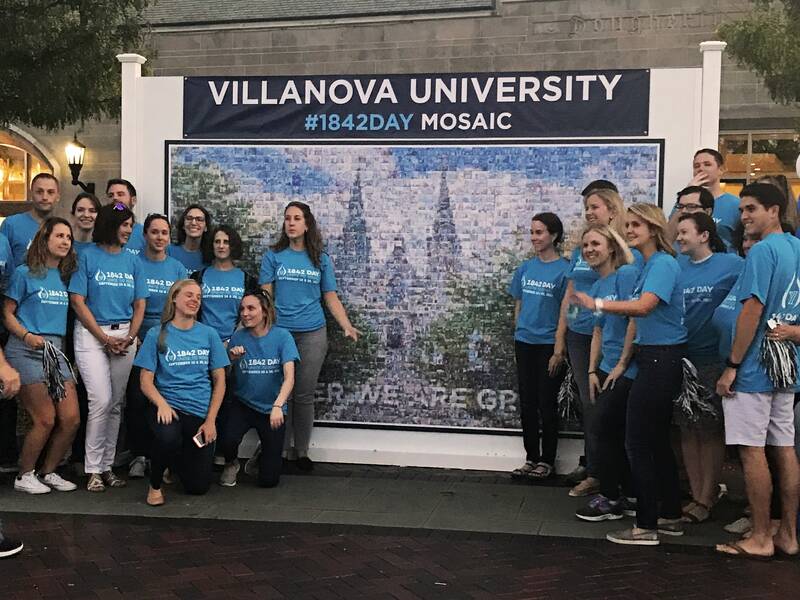 This entry was posted in Art, Fundraising, Murals, Shape Mosaics and tagged art, events, fundraising, mosaics, online mosaics, university, word mosaic, wordle on October 19, 2018 by Kristen Raffaele. 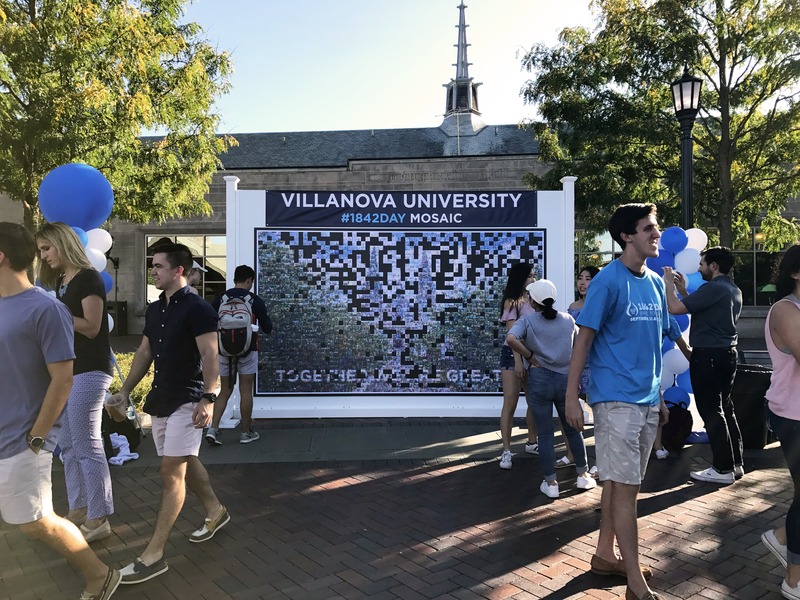 This entry was posted in Events, Live Print Mosaics, Photo Mosaics, Uncategorized and tagged event mosaics, hashtags, live print mosaics, online mosaics, photo mosaic, real-time, university, Villanova on September 25, 2017 by Jackie Greco. 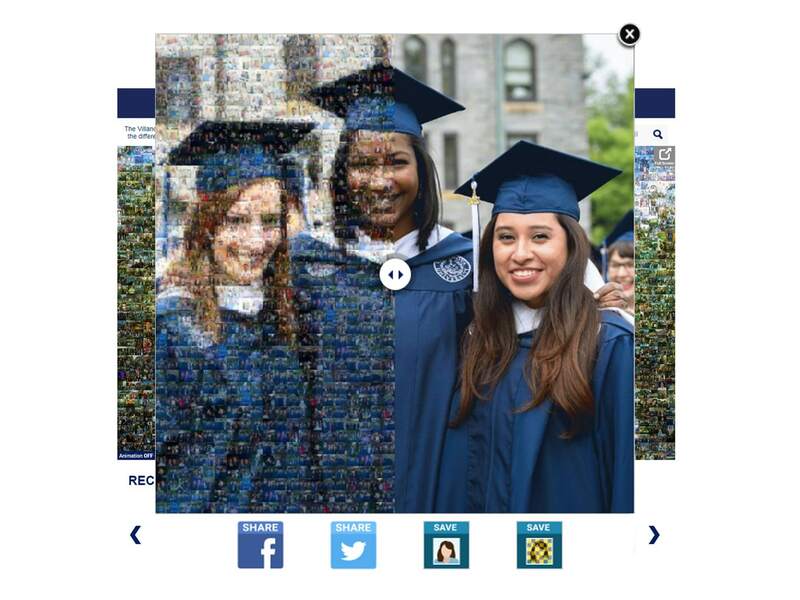 Interactive mosaics: Goodbye Flash. Hello HTML5. 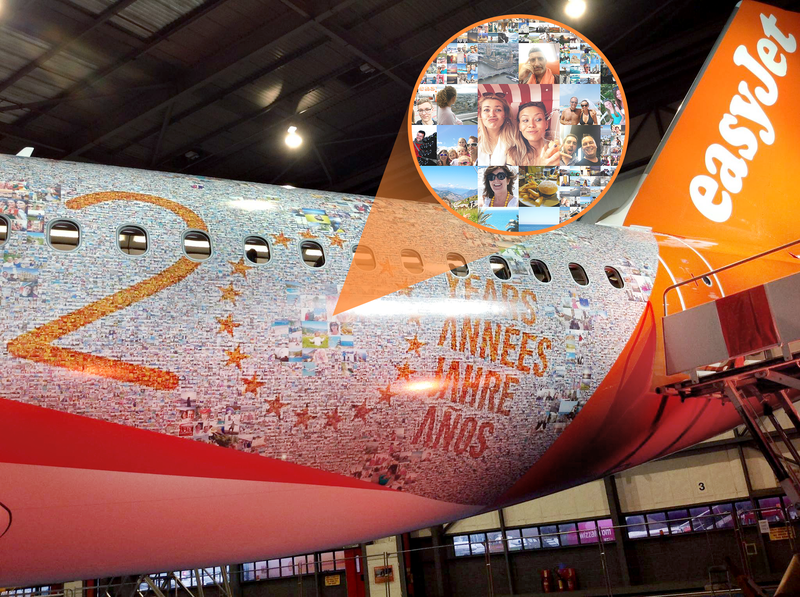 We’re thrilled to announce that our interactive mosaics have made a transition from Adobe Flash to HTML5. 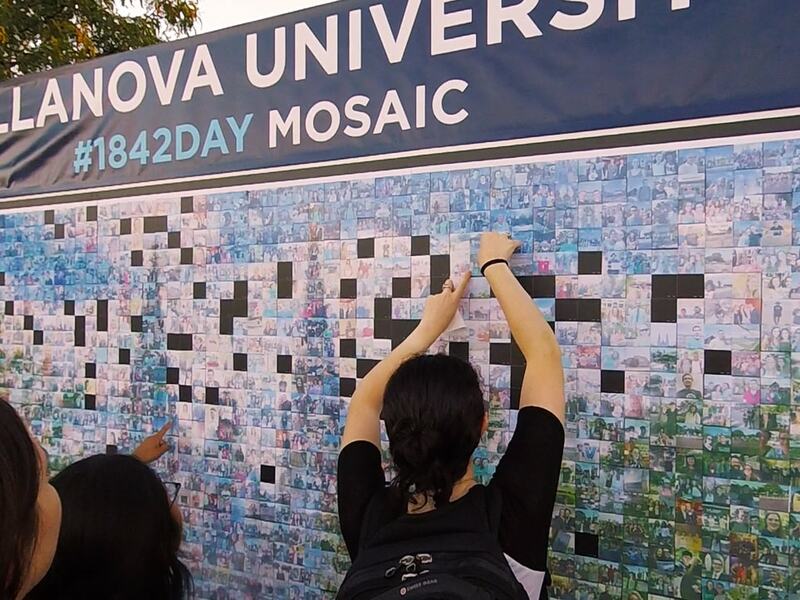 Without digging to deep into it, our interactive mosaics are now being built using html code rather than contained within a Flash player. 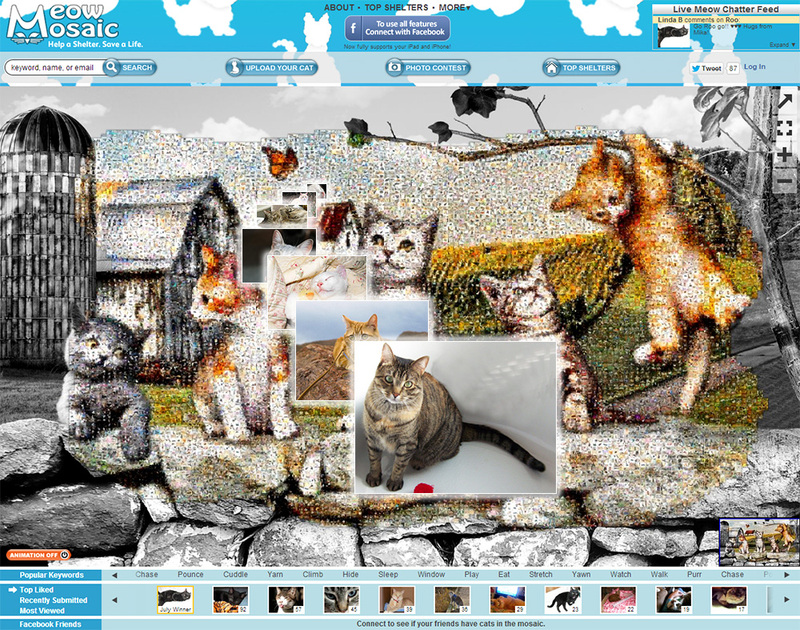 This give us a great advantage when building online interactive mosaics. You can read more about the differences between Flash and HTML5 here. 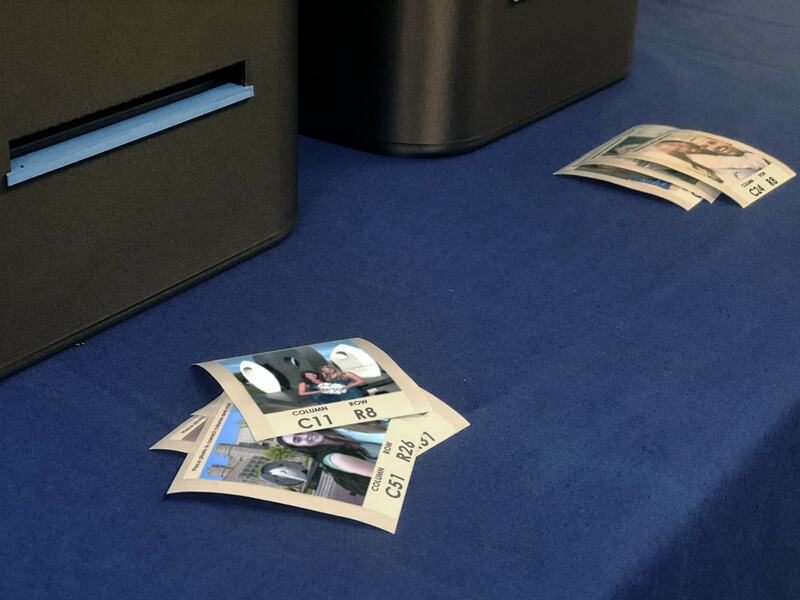 This entry was posted in Mosaics, News & Updates, Online Interactive Photo Mosaics, Photo Mosaics and tagged Atlanta Falcons, flash, html5, IMAX, interactive mosaics, online mosaics, photo mosaic, photo mosaics on August 15, 2014 by Robert DeCarolis.